For this activity, we suggest you stick with acrylic paints. They are inexpensive and bright and adhere well to most kinds of rocks. Make sure you have a protected work surface, paint smocks, brushes, and water for rinsing the brushes. These palettes are found on Amazon, but paper plates work in a pinch. The rock painting center is irresistible, so be prepared with plenty of supplies! As far as rocks go, you can buy them at a craft store or online, or even collect them. Regardless, wash the rocks and dry them completely first to ensure the best results. Practicing and gaining fine muscle control and strengthening eye-hand motor coordination. 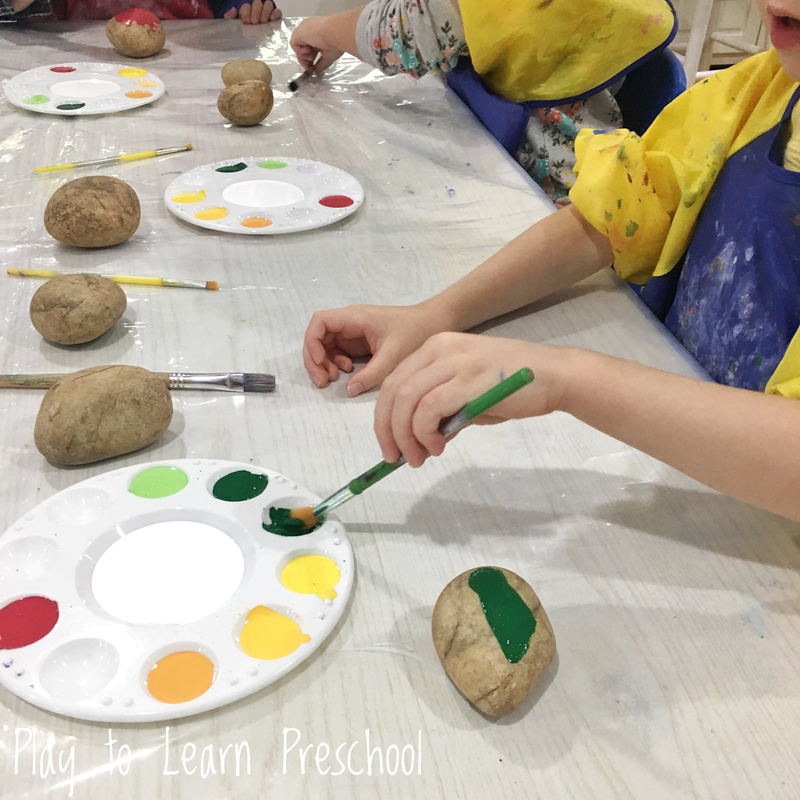 By holding paintbrushes and learning how to control the paint, as well as grasping the rocks, children focus on skills necessary for later writing activities. The opportunity to make choices and solve problems. 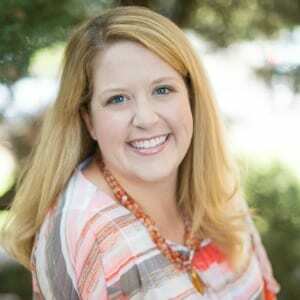 Children make decisions about what colors they use, how to apply them to the rock, and if they will be using a pattern or solid color, to name a few. Problem Solving! When the student makes choices, they learn that some of the choices don’t turn out as expected. How can they remove paint once it is on the rock? Also, spills will happen – how best to clean up these spills? Experiencing different points of view. 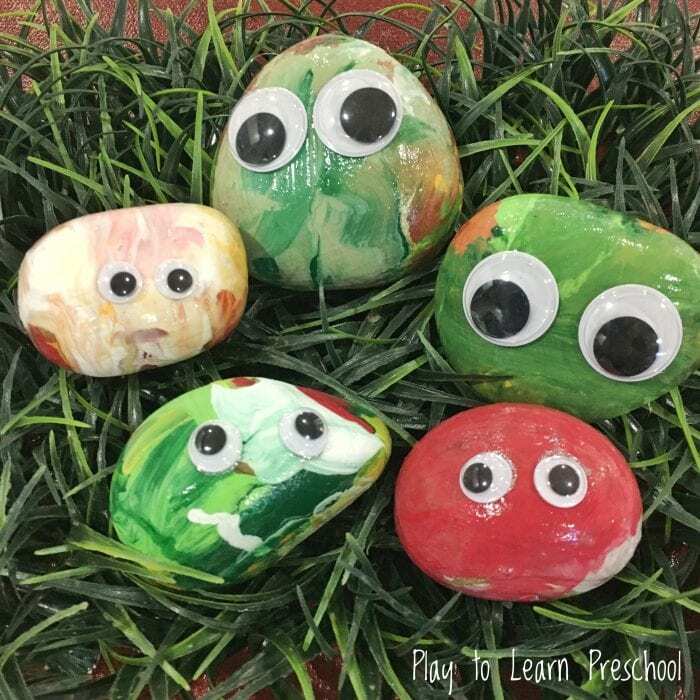 The children will find that their friends paint their rocks differently. Why did Billy choose yellow while Saheed chose green? It opens up conversations and discussions about why we like different things. Imagination and Creativity! The rocks clearly are not the typical kind of pet a student might have at home. This opens up a lot of “let’s pretend” for the preschool student. 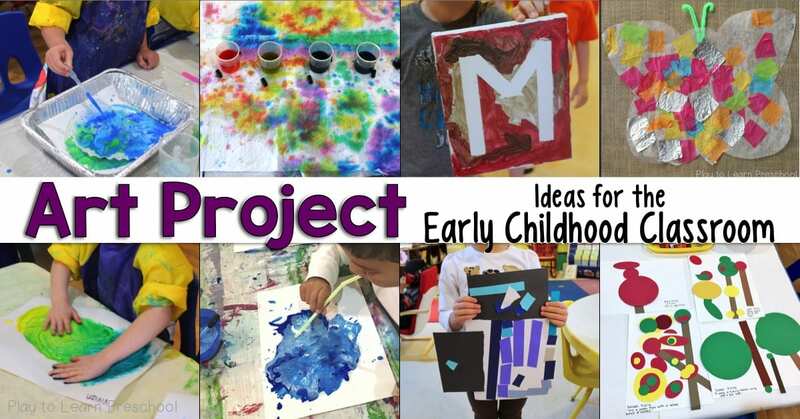 A writing activity following this art project is a great follow-up. Ask questions like: What is the rock’s name? What does it like to eat? How does it move? Where did it live before becoming a pet? Their answers will be amazing and worth writing down! After the rocks have dried completely, seal them with a coat of Modge Podge or another clear sealant. 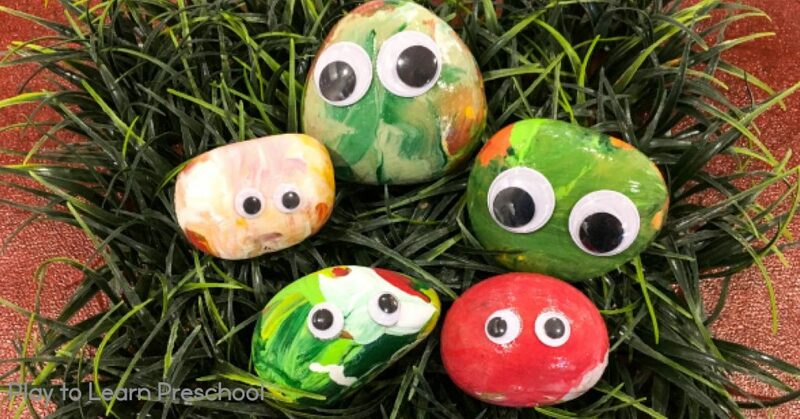 When the clear coat dries, children select and attach googly eyes to give their rock some real personality! 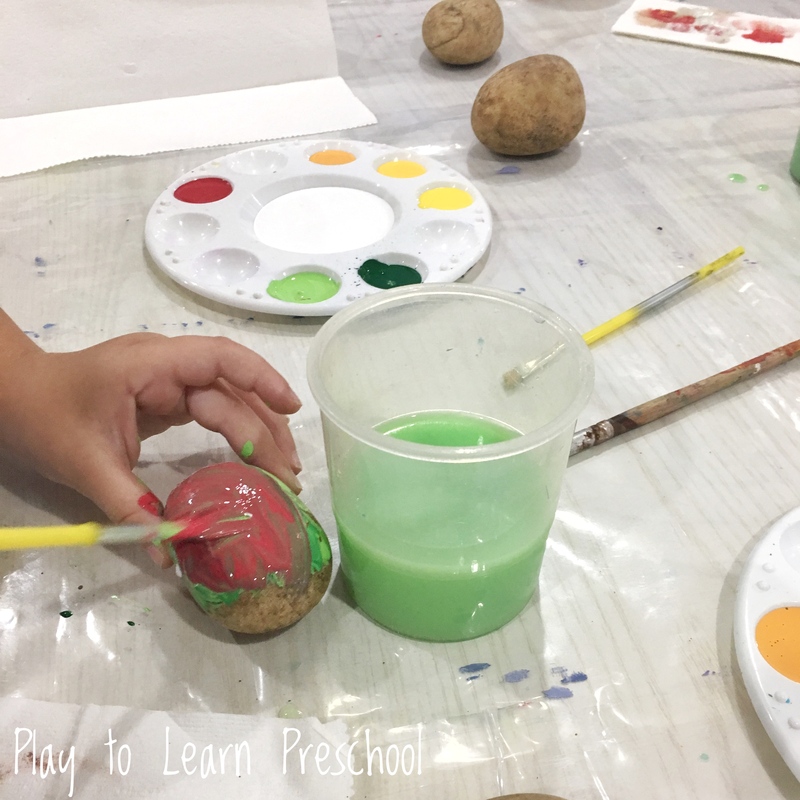 Make extra for your preschool garden or display!